Thank you to our annual sponsors! Learn more about these great companies below. Real estate agent team, Team Foster are 2019 Platinum sponsors of Downtown Bellevue Network and will be contributing monthly articles throughout the year. You can be one of the first to live at Bellevue’s Spring District. 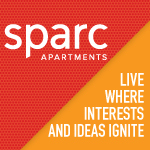 Sparc Apartments will be part of a neighborhood that sparks both business and personal passions. Lease studios, one, two and three bedroom apartments, innovative townhomes and live work lofts. The premier athletic and social club on Seattle’s Eastside. The Bellevue Club merges 200,000 square feet of world-class wellness facilities and innovative restaurants with unique recreational and social opportunities. From yoga to tennis, the Bellevue Club is a place to play, grow and connect. Wild Ginger has opened its newest restaurant at the Lincoln Square expansion. Restaurant goers can expect a menu with many of their favorites, including Siam Lettuce Cups, Seven Flavor Beef, and Fragrant Duck. The address for Wild Ginger Bellevue is 508 Bellevue Way NE. The restaurant is located on the first floor of Lincoln Square expansion right on Bellevue Way. 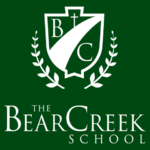 The Bear Creek School is an independent classical Christian school in Redmond, WA, providing a college prep liberal arts education for grades PS-12. Our mission is to foster stability and self-sufficiency for Bellevue’s children and their families through programs that feed, clothe, and educate. By addressing a child’s basic needs, Bellevue LifeSpring helps students focus on their education and break the cycle of poverty. Interested in becoming a Downtown Bellevue Network sponsor? Click the button below.